"Joy and spirited musical communication" are what characterize the artistry of Alvester Garnett's drumming. Singers such as the living legend Abbey Lincoln and the late great Betty Carter, to instrumentalists Wynton Marsalis, James Carter, Regina Carter, and Cyrus Chestnut have all called on Mr. Garnett for the energy and fire that he brings to the bandstand. "I believe that what we have as musicians is a muse, a musical spirit that resides within us as a gift from God. It is our duty to cultivate that muse. This allows the sounds from a higher power to come down through us and provide healing, entertainment and personal expression for us and to those listening. We as musicians are merely conduits for an art that already exists. We just have to pave the road, through practice and study, to let the sounds come through in our own way. Now, when I say practice and study', I don't mean only in a musical sense, but also in a personal and spiritual sense. Ultimately the music should still reflect who we are as individuals. Working with great spirits like Abbey Lincoln has taught me this." Drummer Alvester Garnett was born in Richmond, Virginia at the hospital of The Medical College of Virginia in 1970. Alvin and Mabel Garnett adopted him at the age of 6 months. Early on, his most memorable musical experiences occurred while listening to the elder members sing at Mt. Tabor and Zion Grove Baptist Churches. His father served as Chairman of the Deacon Board at Mount Tabor. At Zion Grove Baptist Church, his mother sings on the church choir, his Grandfather was the Pastor and two Uncles were choir directors and pianists. His first formal studies in the performing arts came at the age of four with tap dance lessons and from age 5 to 9 with the study of piano. Throughout middle school and into high school his most prominent musical studies came through his participation in various chamber choirs, madrigals and a show choir. He figured out the basic coordination of playing the drums from watching a music video of the pop band "The Police", in which the drummer Stewart Copeland played a simple beat. After this, his mother heeded his requests to study percussion. At age 14, Mr. Garnett began the formal study of percussion. Mr. Garnett's first exposure to the true discipline of playing Jazz came at the age of 16. While still a junior in High School and participating in an All-County High School Jazz Band, Ellis Marsalis, introduced him to the names of Master Jazz Drummers. Mr. Marsalis advised him to obtain the recordings of Max Roach in particular and many others including "Papa" Jo Jones, "Philly" Joe Jones, Elvin Jones, Billy Higgins, James Black, and Ed Blackwell. "I don't know where I would be had I not met Ellis. After that first rehearsal with Ellis I was literally in tears. I think my band director at the time thought he was too rough, but I think that one encounter helped me to make up my mind whether I was going to be serious about music or not. It disillusioned my perception of drumming and prepared me for the time honored tradition of studying those before me as a means of growth. Of course I'm still doing that now." During the following summer, Mr. Garnett again studied with Mr. Marsalis. This instance would be in a Summer Program for gifted musicians at Virginia Commonwealth University. This program entailed regular listening sessions and ensemble studies under the direction of Ellis Marsalis. Immediately after this Mr. Garnett joined the Malden Diplomats Drum and Bugle Corp and went to Boston. It was with this organization that he had his first tastes of touring the US and Canada. This involved furthering his studies of rudimental drumming styles, sleeping on gym floors, eating cold meals from a food truck, and doing twenty pushups for mistakes made during practice. The summer after graduating High School he attended Gunther Schuller's music training program at The Festival at Sandpoint in Sandpoint, Idaho. Sis Tobler, the philanthropist and gemologist, sponsored his tuition, for Mr. Schuller's program. It was here that he first met and studied with master drummer Max Roach, leading trumpeter and educator, Wynton Marsalis and Jazz historian Martin Williams. Mr. Garnett would return to this same program two years later to study with the legendary drummer Victor Lewis. After enrolling at Virginia Commonwealth University, he studied, once more, with Ellis Marsalis. This time it would be for one year in a master class setting. Here he also studied Arranging, Jazz History and Big Band performance with jazz program head Doug Richards. His private drum set instructor was Scott Taylor. In 1992 during college under the advice of trumpet master Clark Terry, he entered and won the 3rd place prize in the Thelonious Monk International Jazz Drum Competition. It was at this competition that Betty Carter first heard Mr. Garnett. This meeting would later serve him well. Mr. Garnett earned his Bachelor of Arts in Instrumental Performance/ Jazz Studies in 1993 from Virginia Commonwealth University. Three months after graduation, Mr. Garnett received a call coincidentally on the same day from both Betty Carter and Abbey Lincoln to come to New York for auditions. After moving to New York, he worked with Betty Carter's trio in the Fall of 1993 and Winter of 1994 while at the same time becoming a member of Abbey Lincoln's quartet for over 2 years. He was also a member of Cyrus Chestnut's trio for over two years from 1996 until May of 1998. In November 1997 Mr. Garnett rejoined Abbey Lincoln's Quartet at a legendary concert held at Columbia University. He remained in that group up until the Summer of 1998. 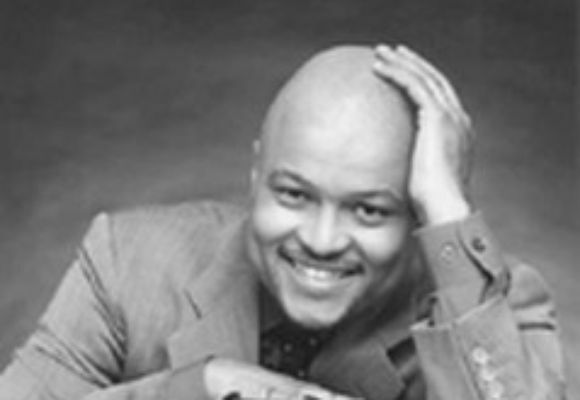 Beginning in the Spring of 1998 Mr. Garnett began touring extensively with both Regina Carter and James Carter. Mr. Garnett has appeared on Great Performances on PBS in a tribute to Kurt Weill along with Betty Carter, a live record with Teddy Edwards, the CD's Earth Stories with Cyrus Chestnut and Who Used To Dance with Abbey Lincoln. He also played on James Carter's In Carterian Fashion. Other recorded performances include Stefon Harris' A Cloud of Red Dust on Blue Note records and Abbey Lincoln's latest recording, Wholly Earth. He has also performed at many notable Jazz Festivals. Some of them are the JVC Jazz Festivals of NY and Paris, The Newport Jazz Festival, The North Sea Jazz Festival, The Vienne Jazz Festival, The Montreux Jazz Festival, The DuMaurier Jazz Festival, The Nice Jazz Festival, The San Francisco Jazz Festival, The Monterey Jazz Festival, and The New Orleans Jazz and Heritage Festival. The summer and fall of 1999 will see him touring extensively with violin virtuoso Regina Carter. Mr. Garnett has also worked in the bands of many other great artists. The list includes, Roy Hargrove's Quintet, Benny Golson, Al Grey, Stefon Harris, Wynton Marsalis and Lincoln Center's Jazz For Young People Concerts, James Carter's Quartet and Quintet, Lou Donaldson's Quartet along with Dr. Lonnie Smith, Jackie Terrason's Trio, Dee Dee Bridgewater, Rodney Jones, Kevin Mahogany, Clark Terry, Eric Reed, Wycliffe Gordon, Sherman Irby, Pharaoh Sanders, Jimmy Witherspoon, Milt Hinton, Marcus Printup, Greg Osby, John Hicks, Wes Anderson, Teddy Edwards, Ellis Marsalis, Ron Affif, Jeff Clayton, Ronald Westray, Fabio Morgera, Werner "Vana" Gierig, Dr. Michael White and the Richmond Symphony. Currently Mr. Garnett resides in Brooklyn, New York where he continues to grow musically and performs throughout the country and internationally.